James Mason must have felt very lonely last summer. Still getting used to Bradford City’s change of ownership, a family holiday was interrupted by a phone call to confirm Phil Parkinson was leaving the club. The long-serving City manager would be followed out the door by all his coaching staff. Everything was changing around Mason, who at the time still didn’t know the club’s new chairman, Edin Rahic and Stefan Rupp, particularly well. Only at the club less than three years himself, the club’s chief operating officer was suddenly the most experienced senior member of staff. “I was taking a week away during the summer when I found out from Phil that he would no longer be our manager,” Mason recalled, as he reflected back on those uncertain times. “I’d worked closely with Phil and it was a shock. We had experienced some very special times together and I really respect what he did for the club. “His decision to leave was his own to make and has gone on to have a really successful season. But at the time, for me and my colleagues we were facing the enormity of it all, new owners only a few weeks in charge and we were losing one of the club’s most successful managers in recent times. It was, to put it mildly, a major challenge for everyone. 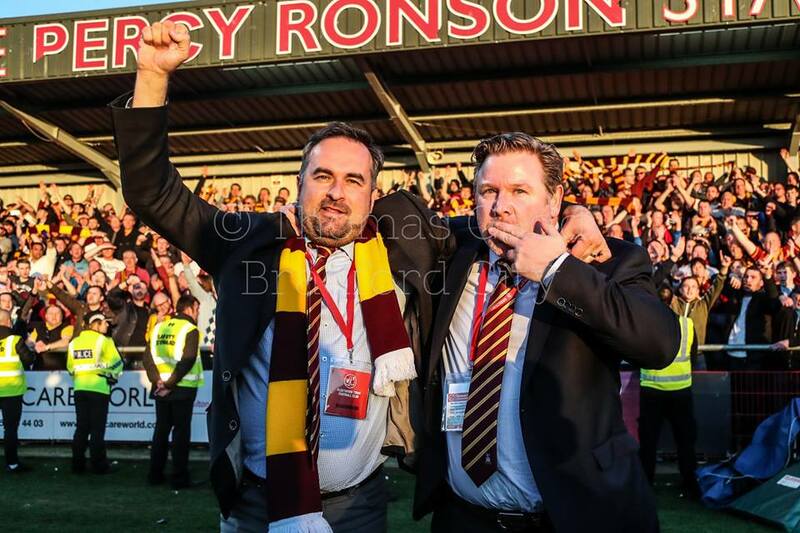 A baptism of fire for Rahic and his business partner Rupp, who had only just concluded the deal to purchase Bradford City from Julian Rhodes and Mark Lawn. Parkinson was a hugely popular manager with supporters, and suspicions he had been unsettled by the new owners ensured a frosty reception towards Rahic and Rupp. The continuity that Mason offered proved a vital link between the past and present. “I didn’t know how well Edin and Stefan were going to settle in and if they would dovetail my own ambitions,” Mason stated, who recounts his first few weeks with Rahic. “I first met him as he walked down Valley Parade with his wife and two children, who had flown over with him from Germany. “The first thing that made me feel at ease was that Edin was a family man. A normal, ordinary family man and therefore I was confident we would get on. I was sure he wasn’t going to transform things over night. This was a guy who had really invested his life into his big career change. “Bringing his wife and two children over takes some serious guts. It shows determination and some strong will. So I thought, as a father of two myself, here was man who had a lot of similarities with myself. Parkinson’s shock departure meant there was no time for a gradual transition. It was June and pre-season was only weeks away. A new manager had to be quickly recruited, and a backroom team to support them. There were only eight players on the books. Mason and Rahic set to work, cementing a work relationship that has driven the club over the 2016/17 season. Mason continued, “Change brings uncertainty but for the brave it brings opportunity. You can complain about things for as long as you want or you can roll your sleeves up and just get on with it. “I’ve been impressed with the way Edin has taken every challenge full on. It’s not been easy for him or any of us for that matter as we have faced some steep hurdles, many for the first time. He is a completely different personality to the two we said goodbye to. He brings a vision to this football club and he’s going to do it his way, which I respect. I think the long-term future of Bradford City is really positive. But we must ask fans for their patience and to trust us in our decision making. Early misgivings from supporters were eased by the speed Rahic, Mason and others were able to rebuild the club’s foundations. Stuart McCall has proven to be an inspired appointment, quickly uniting the fans and relishing the challenge of picking up the baton left by Parkinson. On the field, the club has barely missed a beat, climbing into the play off spots after three games and remaining there for the entire season. “Over the first year I think Edin, Greg and I have really become partners off the field,” revealed Mason. “Obviously Stefan is the major shareholder, and he and Edin have the ultimate say on things; but I respect the way Stefan has let Edin and myself run the club over the last year, and in terms of the business decisions we work well together as partners. 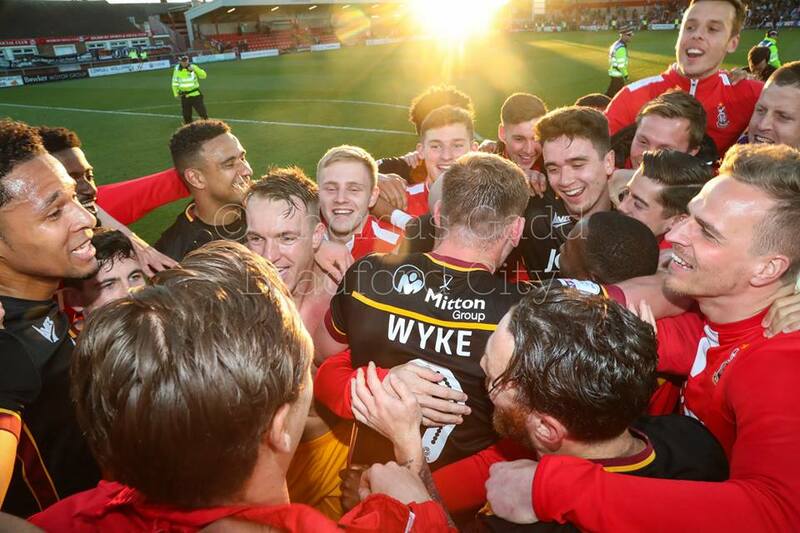 The Charlie Wyke signing arguably represents the most striking example of how the club has changed. Over the first half of the season City’s promising football was hindered by a lack of goals, and a brave decision was taken to sell the long-serving James Hanson and splash the cash on the younger Wyke. The former Carlisle man has blossomed at Valley Parade, and already appears to be an asset who could be sold on for a profit. This was the collaborative work of the transfer committee which is now in place at Valley Parade; made up of the head of recruitment Greg Abbott, plus McCall, Rahic and Mason. It is an approach Mason believes is proving fruitful. “The proof is in the pudding with everything in life. The approach was different to previously because we had such a wealth of experience at the very top. Julian for example has been in football for almost 20 years so really knows the English game. I learned a lot from him and I’ll learn a lot from Edin’s contacts and approach too. 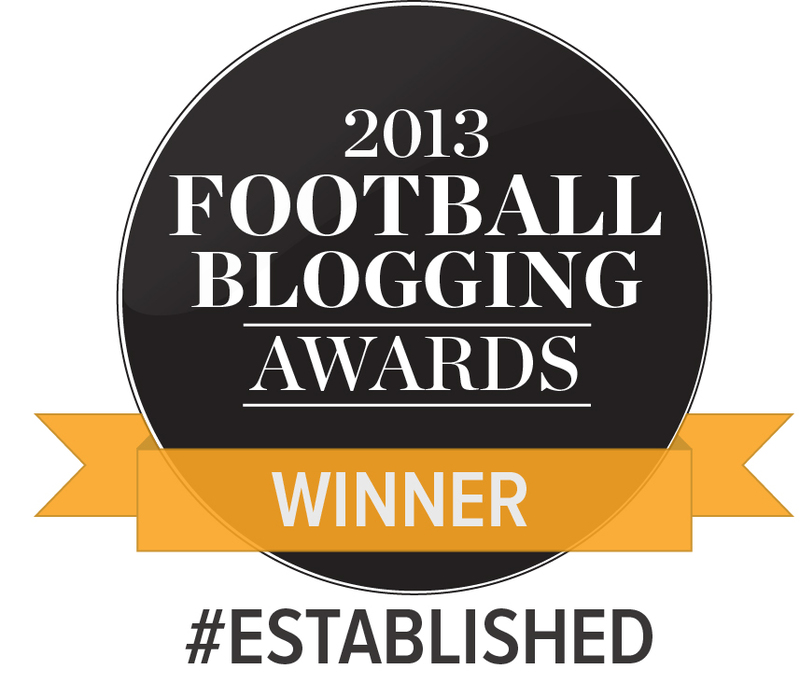 “Stuart has got an encyclopaedic knowledge of football, as has Kenny Black, Steve Banks and Chris Short. But an in depth knowledge of the league that we were in was needed and probably the league below and above us. I think bringing in Greg Abbott genuinely was a masterstroke from the club. I think he was needed. “Stuart and Greg work really well together. Former team mates, best mates and two people who implicitly trust each other. With Greg out and about looking at players and bringing them to Stuart, Edin and myself, you’ve got a person who the manager trusts. Greg knows Stuart’s standards, knows what it means to be a Bradford City player. And then of course you’ve got Edin bringing his philosophy and style of play he wants the club to adopt. The three young signings the club announced last week are a good illustration of the model as a whole. Callum Gunner (18, brought in from Swindon), Tyrell Robinson (19, from Arsenal) and Omari Patrick (20, Barnsley) were unearthed by Abbott, looked at by McCall, Rahic and the coaching staff, and then interviewed by Mason. Mason is very optimistic about the trio’s prospects, “They have got the potential to be the next big stars. Not just of Bradford City but stars of the game. Whether that comes to fruition or not, we don’t know as only time will tell. But these are the sort of calibre of players that Edin said from day one he wanted to bring in. Young, fast and blessed with talent. Mason’s role goes beyond the football side of things and to the commercial and other off the field operations of the club. Behind the scenes and away from the headlines, a number of positive changes are taking effect. From the academy set up, the club shop through to selling replica shirts. He continued, “Off the field we have so much to look forward to. Our relationship with Woodhouse Grove School [training facilities] is growing from strength to strength. Alex Laird is a shining example of what young prospects can achieve at our club – a first class education with the best footballing set up you can imagine. Whichever way our scholars’ careers go, they are very well prepared and developed. Our academy will be transformed in the next few years. “We have taken back the lease on what was Campbell’s bar, which will become our new club shop and maybe ticket office in time. This will free up the current club shop as an administrational hub, all part of long-term plan to bring our back office up to date with the on field success. “Everyone is aware that many facets of the club are franchised, including the club shop and catering. We’re working really hard at improving this offering for supporters and again supporters will see a completely different set of standards in years to come. We listen to all feedback but not everything is possible in one go. However, I’d like to think fans have seen how we plan to shake up the industry and do things ‘the Bradford City way’. With the play off final looming large, the club has a terrific chance to cap off a year of major change with the glory of promotion. But if they can beat Millwall at Wembley, is this set-up strong enough to survive the huge challenges of the Championship? Mason is characteristically upbeat, “In the first instance we’ve got to reflect on what we’ve done this season. Every year since Phil Parkinson was here, we’ve achieved year-on-year progression. In Stuart’s first year we’ve already progressed, because last year we got to the play off semi finals and missed out. This year we’ve got to the play off final. So whatever happens on Saturday, we’ve already had a wonderful season that has bettered last season for so many reasons. “With the playing squad we’ve brought the average age down. We own more players than we have done in recent years, the budget has remained competitive and we’ve also bought players like Charlie Wyke, Romain Vincelot and Alex Jones. We’re a different animal on that side of things. Will the club be looking to spend big money to compete? “People will expect us to significantly increase our budget. That would naturally happen because we’ve got players who have triggers that will increase their wages if they do go up. But I don’t think we will spend money left, right and centre. For Mason himself, Saturday will be a huge occasion that he readily admits he will find very emotional. His first Bradford City game was back in the 1985/86 season. He is now in his dream job, having a huge influence on the club’s fortunes. It’s already been quite a ride for him after he was recruited by Rhodes and Lawn in November 2014 to replace David Baldwin. His first game in the role was the FA Cup win at Halifax that soon led to the Chelsea experience and the amazing cup run. Off the field, his marketing initiatives have been instrumental in City growing their season ticket base. Mason works incredibly long hours and has a huge list of responsibilities on the playing and non-playing side. On average he receives 200-300 emails every day. “I well up now thinking about Wembley,” he admitted. “I started watching Bradford City in the Midland Road stand, and I’ve seen them progress and regress through the leagues. I can’t tell you how proud I am to be working at this club and to be representing fans. The owners and I are tasked with doing what is in the best long term interests of the club. And beyond Millwall and the club’s fate on the field, what of the long-term future? “We want this club to be a social asset. We want the club to represent what’s good about Bradford. Our underdog mentality but also our community spirit. We’re a big city and we’ve got the potential to be a really big football club again. That’s something I’m determined to make happen. Not just on the field, but off it. Another great article Jason, thank you! I was lucky enough to meet James and Edin a weeks ago. 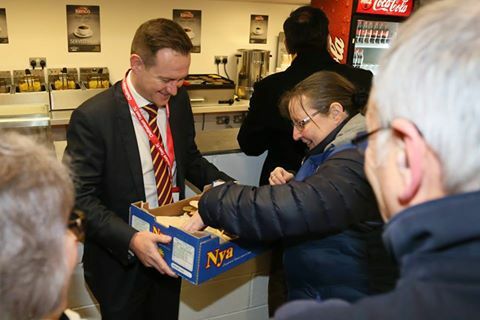 Here are two people who genuinely care about our club and their enthusiasm for Bradford City is infectious. It is a really great time to be a Bradford City supporter. I won’t be at Wembley on Saturday due to work commitments in Europe and a lack of flight connections, but I will watch it on TV, with people who don’t know Bradford and I will feel so very proud. I hope that we get promoted to the Championship as James is one person who really deserves it. Its always good getting an insight into the club on things we never see. Also we know what they say is the truth and there are no hidden agendas and im not sure many clubs can say that. I’ve been following the Bantams since 1953, and I have to say having met JM several times Reading and Southend being the stand out experiences, I am so happy with this guys contribution to the club I love. Positive and determined I believe with the new pragmatic owners we are in safe, reliable hands. Wembley our second home, here we come CTID. I met James yesterday when he was down at the ticket office at Valley Parade, as the Wembley tickets went on sale from there for the first time. He was in there troubleshooting, and stepped in personally to help me with a ticketing issue. Many thanks for the great work you and the others are doing with the club. The Bantams family is a wonderful thing to feel part of. Another excellent read, I love these insights we get into the club. We might not always agree with what they do or how they do it, but at least they don’t hide behind closed doors. One topic I’d be interested to heard the board’s view on is bringing the womens’ teams into the fold more. Manchester City have led the way on this and I think it’d be great to see James, Edin & Stefan start to do the same.